The Circle is one of the most magical moments of ATS® dancing. 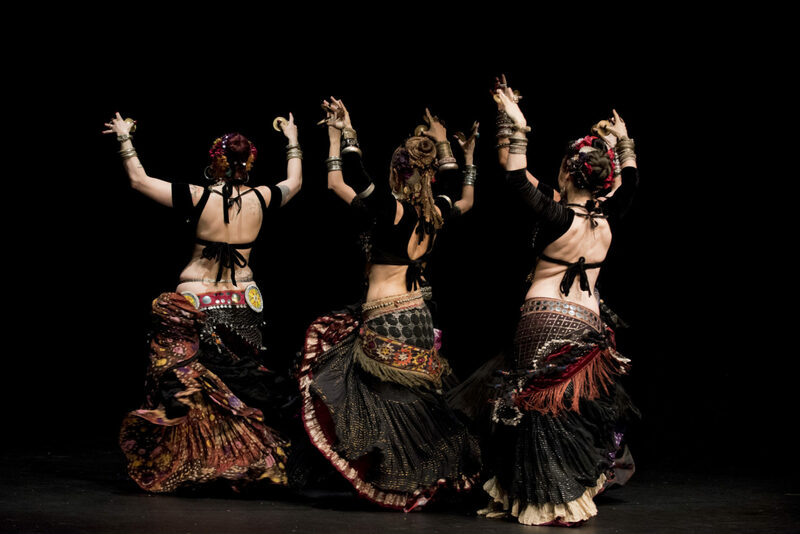 Discover how two circles dancing and interacting together can be used as a powerful formation for ATS® Bellydance! It relies on a strong connection between dancers and is a beautiful formation which weaves in and out of the two circles. In this workshop, Gudrun, Isabel, and Philippa of the ATS® Sisters Collective will lead you towards the Kaleidoscope Concept using exercises to connect with your fellow dancers and enhance your peripheral receptiveness, and plenty of practice time to play in this beautiful formation. 1 WS 10・ATS® Movement Dialect with the skirt – Drama! Color! Energy!